I can only speak and read English. Unfortunately, that means that I miss out on a lot of potentially really cool games out there. Thankfully, game companies often step in to help. And that's just what Renegade Game Studios is doing, as they'll be releasing an English version of Glen More II: Chronicles, the game by Funtails that puts players in charge of their own Scottish clan. There's countless things living in the sea that the surface-dwelling world knows little to nothing about. Take the Aquicorns, for example. How much do you know about them? I'm guessing not a lot. 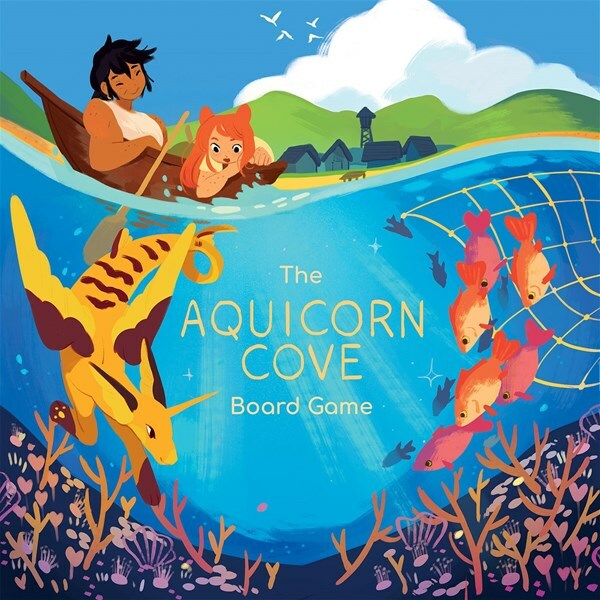 But you will when you play The Aquicorn Cove Board Game, coming this year from Renegade Game Studios. When a storm threatens the reef where the Aquicorns live, will you be able to safeguard it? Slap on. Slap off. The Slapper. Slap It is a new card game from Renegade Game Studios where players must slap monsters that are looking to invade our dimension. But you've gotta make sure you slap the right monster at the right time if you want to succeed. This family-friendly game is available now. The second in the Nippon series of card games from Renegade Game Studios, Hokkaido continues on the fundamentals of the game, but further expands on them. The Lords and Ladies of Honshu have beheld the mountains of Hokkaido and are looking to expand their way forth. And yeah, the image says "Coming Soon." But that's what they had on the website. Today's the release date. You can't always buy everything you want out in the various market stalls on the streets of the city. 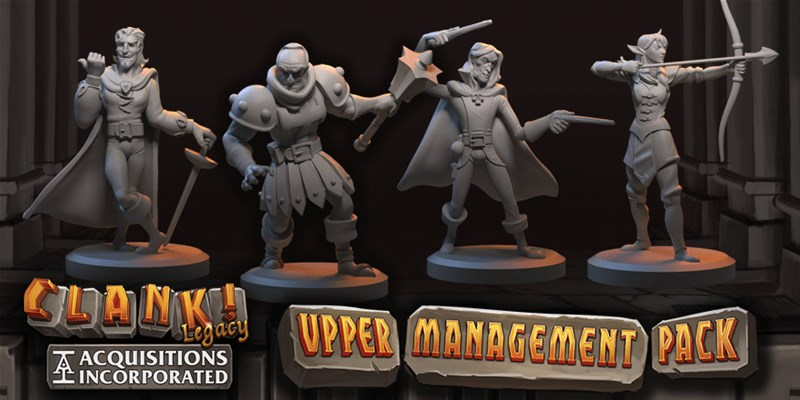 Sometimes, you need something that only the Black Market and supply, and that's just where you're headed in the Black Market expansion for Bargain Quest. Renegade Game Studios has announced this new expansion, as well as started taking pre-orders. Don't worry, all of that's entirely above-board. I'm a sucker for special editions of games, or limited runs, or any other type of version of games. So, of course, I'm checking out the Valentine's Edition of Kitty Paw, the dexterity game of cute cats from Renegade Game Studios. You can order your copy now and have it here well in time of the 14th of February. Petra is one of the most fantastical places on the Earth. Many of you might know it as the resting place of the Holy Grail in Indiana Jones, but the actual location is no less mystic and mesmerizing. 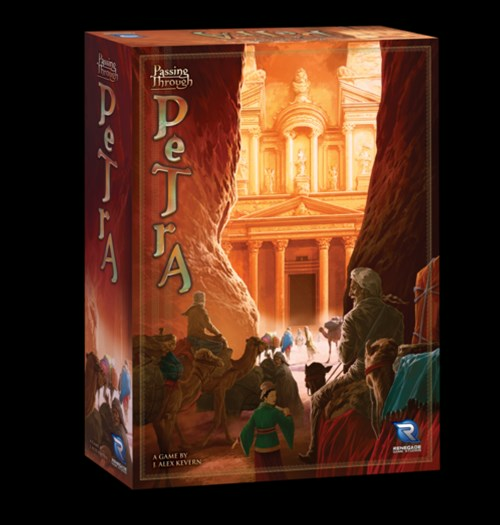 Now, you can vicariously visit it in Passing Through Petra, a new game available now from Renegade Game Studios. The supernatural is attacking New York. Grab your proton packs and head out in Ecto-1 as you look to catch those ghosts. 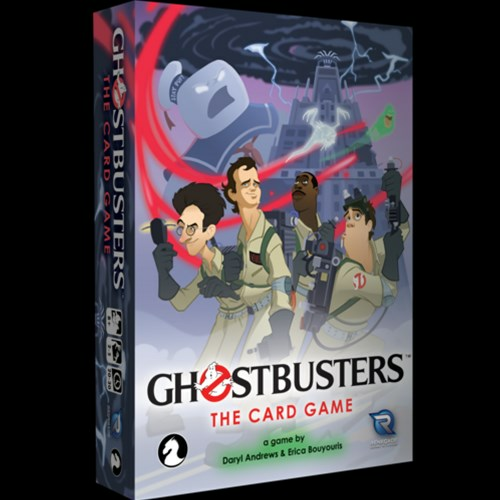 That's what you'll be doing in Ghostbusters: The Card Game, now available form Renegade Game Studios. We think that it's only just recently that politics have gotten really nasty. Such is not the case, as the smear campaign goes back hundreds of years. There's a long tradition of not necessarily trying to bolster yourself as much as you're trying to make the other candidate look horrible. 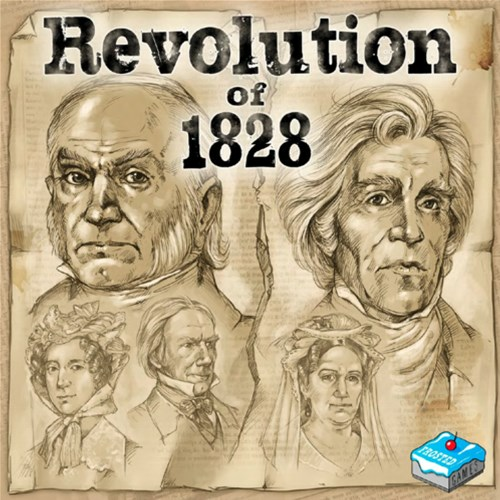 That's what you'll be doing in Revolution of 1828, a new game announced by Renegade Game Studios.